Who has kidnapped her? Where is she? Returned to the school with little knowledge of what happened Thea is simply delighted to be back. All, however, is not well, with a new girl spoiling everything. Will Thea ever again be friends with Annalije? Will she be able to find out who kidnapped her, before she is kidnapped again? 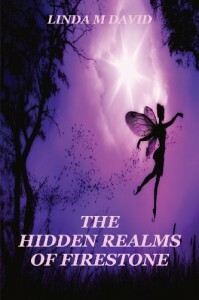 Linda M. David's The Hidden Realms of Firestone is an engrossing Fantasy/Science-Fiction book for teenagers. It will also appeal to those teenage readers who enjoy the School Story genre. Beyond this David’s novel can be read and greatly appreciated by adults who wish to recapture a little of their youth. "Thea had a great adventure and even managed to help you out of your ...erm...situation but now ... well maybe it's time for her life to get back to normal." "I was ...quite intrigued about your encounter with the legendary Winged-Zaphina. You must have been absolutely terrified!" In Planet Aruuliah, David presents a complete (other) world, filled with interesting characters, and with new animals (the Cheebles, the Gruzzlings), food and people. The book is interestingly described and well structured. Thea has an opinion, and is able to do things and get things done. The above scene is well written and explores the dynamics of friendship. During the course of the novel various friendships are explored in detail. Thea's relationship with Jojan is a lovely look at friendship: the two share an interest in the Garden of Meditation. Jojan helps Thea at the beginning. David explores a changing relationship very well and the ending is pleasing. The Hidden Realms of Firestone also explores the importance of family. Thea has an interesting relationship with her parents. Her mother is distant at the beginning and we are not surprised Thea wants to go to another planet! Having both parents employed as archaeologists is a nice touch. Thea’s relationship with her grandfather is a particularly well drawn one: it shows how different generations can coexist and enjoy each other's company, and it emphasises the importance of grandparents to the family structure. The novel's predominant structure is that of the milieu: we are interested in the world of Planet Aruuliah and its Academy; in the food, including Volcanic Lava Logs, Foaming Froth Cups, Thunderbolt Sizzlers and Chilly Shocks; in pills which turn into food; and in the technology that surrounds Thea and which she makes use of. There are also elements from the story which are beautifully structured; for example, when things happen in the villages, that the class are creating, it is reflected in the larger world of Planet Aruuliah and the Academy. David owes some debt to J.K. Rowling: some elements in the novel reminded me of Harry Potter; for example, the Gardens of Meditation & Tranquillity, were similar to the forest outside Hogwarts. However, in this genre I don't see being reminded of other books as a problem; being reminded is more of an expectation that a world has been created, and the expectation is fulfilled. The Hidden Realms of Firestone has an omniscient narrator. Our main focus is on Thea who is well drawn. We understand her, learn about her and sympathise with her desire to be at school, with her friend Annalije, and when things go wrong with Annalije and Ruganwyn, we are on Thea's side. David, however, has skilfully drawn characters and their relationships keep us reading. What is so weird about Ruganwyn? Why does she treat Thea the way she does? The answer is interesting and reminds the reader that though the Fantasy/Science-Fiction novel depicts another world, it mirrors our own. As a reader of the School Story genre, I liked this story. Thea was an engaging student and many of the lesson pieces and school sets appealed. The school friends are also well drawn as characters. The relationships between all of them (Jojan and Thea, Thea and Annalije, Ruganwyn and Annalije) are complex and treat loneliness, difference and friendship sympathetically. 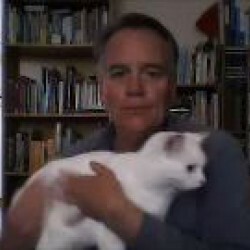 The animals and magic dolls are an interesting aspect of the plot, and add to the believable world which David creates. "You see, portals have such an adverse effect on Earth's atmosphere that only a limited amount can be opened per year, each of which has to be sanctioned by the authorities." “There were so many students in the Halls of Dining that she did not know where to look first. There was an absolute multitude of skin colours, from the palest to the darkest imaginable in a variety of patterns and markings. There were also a range of appendages and attachments, from tails and horns to tentacles and feelers, additional skin augmentations in the form of spikes and ridges, fur and feathers, not to mention talons, claws and webbed feet!" Everyone makes fun of Thea because of what she can’t do, for example change her skin colour like Ruganwyn, who comes from the Planet Chameleon, and also because Earth is technologically challenged, so Thea has issues with technology. However, with the help of various friends Thea is able to defeat the enemy and work out who the enemy is. There is also an interesting discussion of exactly who is alien on Planet Aruuliah. The Hidden Realms of Firestone does a great deal for tolerance and understanding about diversity. Linda David's The Hidden Realms of Firestone is a strong novel about friendship, combining elements of the School Story, Fantasy and Science Fiction. The book is well written and provides both a story in itself, as well as tantalising hints of what happened in a first book in the series. It will appeal to a wide raging of readers, having a strong plot line, and an opinionated and thoughtful main character. I highly recommended this book and am happy to rate it as 4 out of five stars.